This is my first time participating in the Wednesday Vignette meme, hosted by Anna at Flutter & Hum. I've watched my friend, Loree Bohl (Danger Garden), participate for a long time, and I always enjoy it. When I walked around the corner of the pool house last week and saw this trial plant from Proven Winners® cozying up to my small cat statue, I knew I had to jump in myself. When I received Coleus ColorBlaze® Torchlight™ (Solenostemon scutellarioides) as a small plant this spring, I placed it on the north side of our pool house. That little flower bed spends most of the summer as shades of green and often is neglected, both in terms of care and observation. I thought by placing this colorful coleus there, it might add a little spark to an otherwise ho-hum scenario. This new coleus will be available in garden centers in Spring of 2019. It has never bloomed, which I consider to be an asset for a coleus, as I remove their flowers anyway. It still looks good, this late in the season, but if I grow it again I'll pinch out the growth tips to encourage additional branching. I would also be sure to underplant it with a low grower like the Heuchera shown here, to hide its skinny ankles. Amended soil would be a good thing, too. It'a beautiful coleus that adds color to monochromatic spaces with little to no effort required on the part of the gardener. And that' why it's a "proven winner" in my Zone 5b Northwest Ohio garden. I was provided with this plant free of charge to trial in my garden. Though it's not a requirement to participate in the trialing program, I'm sharing my experience and honest thoughts on growing it. 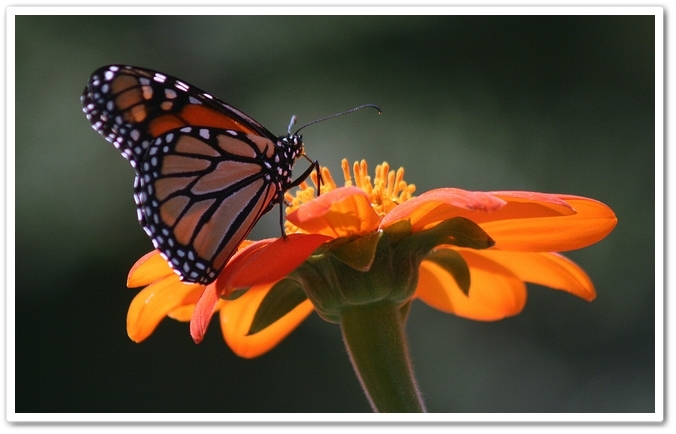 As any die hard monarch mama knows, monarch butterflies love Tithonia, a.k.a. 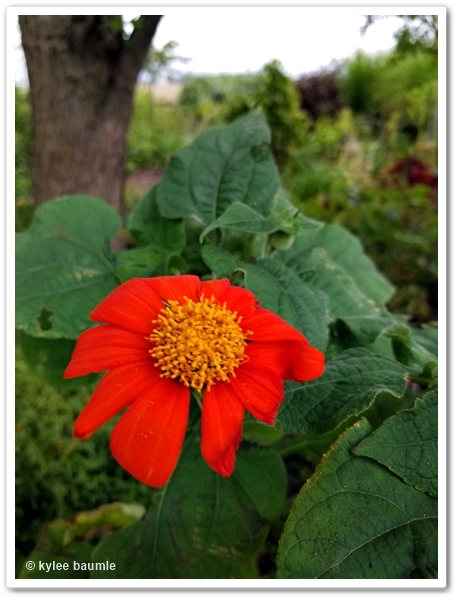 Mexican sunflower. And anyone who is serious about attracting them will have this growing tall and proud in their garden. I was no exception. 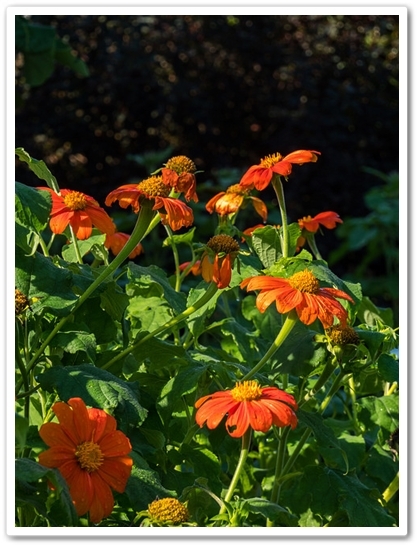 When offered some free seeds from a wonderful seed company* a couple of years ago, I immediately chose Tithonia rotundifolia 'Torch', and I had visions of a glorious photo shoot in the latter half of summer. The monarchs were going to flock to them by the numbers. Bees and hummingbirds, too! So, I planted those seeds that spring. "They're easy!" everyone told me. "You're going to love them!" they said. It was true, the packet and the website (and every other website on the vast world of the internet), claimed they didn't have any special needs, would grow in poor soil, and tolerated drought and neglect. Since they are native to Mexico and I know what harsh growing conditions there can be in much of the landscape there, I just knew that success was a sure thing. But summer came and went, and nary a Tithonia appeared. This is not the first time that I've had bad luck with seeds. I've made many mistakes over the years, such as planting seeds too early. And being The Queen of Procrastination, I've planted them too late. I suppose that's not bad luck, that's just bad gardening. In any case, I was no stranger to failure. The next time I spoke with the seed company's owner at a trade show, I related my experience to her. She was puzzled and repeated what I'd heard over and over, "But those are so easy. I wonder what happened. Here, take another packet and try again." The next year just happened to be one in which I exercised my queenly duties and I got the seeds in the ground late. Not too late, I didn't think, but perhaps I thought wrongly. I kept waiting to see little green seedlings popping up from that "poor" soil, but summer was half over before I even saw them. I got three. And they didn't grow very fast. My tithonias gave the term "slow flowers"
Before I knew it, frost reared its ugly head and I only had plants barely a foot tall, if that. No blooms, of course. But, HEY! This time I got PLANTS! And I'm pretty sure they weren't weeds. Things were looking up. They say the third time's a charm, and I'm a believer. This year, I got those seeds in the ground at the perfect time. I was determined to make my monarchs happy campers. Though it did take a little while before I saw little green sprouts start peeking out of the ground, things looked very promising. While others were showing their four-feet tall Mexican sunflowers loaded with blooms (and monarch butterflies perched atop, of course) on Facebook, my half a dozen plants were doing the best they could, which was the best I'd ever seen here at Our Little Acre. By the first of September, they were over three feet tall, and I saw flower buds!!! By September 13th, I had one glorious vibrant bloom that nearly made me weep. FINALLY, I had grown a Tithonia from seed and it actually bloomed. I can't tell you how happy this made me. Then it got cold, like in the low 40s at night cold, and the other blooms stayed closed up tight. It has gotten warm again in the last few days, so I'm waiting for some more blooms to open. But if I only get that one Tithonia bloom, I have done better than my past efforts. As every gardener knows, there's always next year, and I'm on a roll. *I'm not naming the seed company to protect the innocent. It wasn't the seeds' fault. It was the gardener's. I can't grow Johnny jump-ups either.